Host Megan Powers welcomes Michael Arias on this mid-month(ish) show! Episode 12 brings us a quick lesson on Ground Marketing, and the success Michael has had with it and his clients. As Michael reminded us on this show, there is "riches in the niches." His niche is Dental Marketing. Michael is "The Dental Marketer" and he has a podcast by the same name -- The Dental Marketer. He’s worked with several dentists, dental groups, dental consultants, and agencies. He loves educating anyone who is interested on how to market their dental practice. 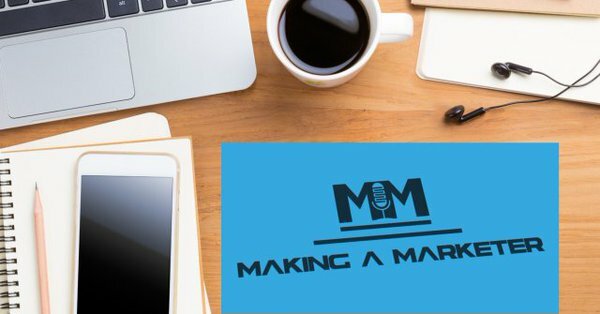 I was a guest on his podcast, and it hit me -- I bet our listeners would love to learn about Ground Marketing, which is the type of marketing his team teaches. Check out this quick 30-minute show! If you'd like to see the video recording of the show, here you go - Episode 12 Video. We are “Making a Marketer”... in all ways. Check Ep.12 out -- and if you’re so inclined, we would love for you to subscribe, rate, & review us on iTunes -- https://bit.ly/mamITuneNEW. Get each ep. when it drops!